Every organization takes pride in having an employee who is passionate, disciplined, industrious and keen on going the extra mile. Most organizations would want to keep such an employee for life because their performance at work is guaranteed. It often comes as a surprise when one of your best employees decides to leave the organization. While most bosses will not admit it, a notice from such an employee can be devastating news. It is common for managers to blame everything and everyone under the sun whenever a good employee leaves. A manager who is keen on learning from such an experience will take time to critically examine the reasons why his or her best employee is leaving. We call it work-rest balance because referring to it as work-life balance would be an indication that work is not part of life. In a quest to maintain healthy bottom lines, some organizations push their employees out of their jobs. They demand more than is humanly possible within unrealistic timelines. Even the best employees struggle to keep up with the workload as the managers demand more and more from them. A job that is supposed to be done from 8am -5pm with breaks for lunch and tea ends up becoming a twelve-hour job with no breaks. The employees barely have time to eat, interact as normal human beings or even take breaks that would enable them to acquire a new perspective on the tasks that they are handling. The overall effect of this becomes visible in their physical, social and mental well-being. An organization that treats its employees as mere “resources” without taking their well-being into account will end up losing its best employees. Overworking employees is counterproductive. A research study carried out by Stanford University showed that the productivity of an employee decreases sharply as the working hours per week exceed 50 hours. It is important for all the leaders in an organization to create a realistic workflow that will help the organization meet its goals while ensuring that the workers are not overworked. It is equally important for line managers to learn how to respect the personal boundaries of the employees they work with. An employee does not have to be on call on weekends, holidays and after working hours unless it is utterly necessary. Organizations seeking to maintain the productivity of their employees should insist on creating a culture in which working late is not considered an indicator of good performance. This will ensure that all employees manage the tasks for the day effectively hence maintaining a healthy work-rest balance. Some of the most talented employees in organizations end up using only 10% of their potential because their talent has not been matched to their jobs. As a result of this, the best employees gradually become discontented and begin to seek other avenues where they will realize their full potential. The mismatch between an employee’s tasks and talent happens as a result of “straight line” mentality. This mentality believes that an employee who is employed in one department should stay in that department. It fails to have a comprehensive view of what the employee is good at and finding ways of providing an opportunity to make use an employee’s talent. There are organizations that have perfected the art of dangling carrots in front of their employees. For instance, employees can be told by their manager that they will receive a bonus once a certain project has been completed or if they meet their sales target. Employees strive to attain the goal but once they do, the goal post is shifted. Then, the management of the organization provides a long, winding explanation as to why it cannot keep its promise. There are organizations that give their employees contracts that enumerate several benefits but once the employees start working for the organization, the benefits mysteriously fail to show up. Whenever an employee tries to find out why he or she is not getting the benefits as promised, the explanation that is provided is barely sufficient. An organization that lies to its employees loses credibility among its employees. This eventually demotivates the best talent and makes them leave the organization. Addressing the concerns raised by employees is an essential aspect of ensuring that the employees can trust their organization to look out for their best interests. In some organizations, leaders have created a culture in which they remain detached and unapproachable. Issues such as discrimination, unethical practices and sexual harassment can remain unaddressed in such an environment. This leads to widespread fear among the employees. Eventually, leaving the organization becomes the best option. An organization does not have to offer an employee a bucket load of money in order to retain the employee. An organization just needs to work towards offering fair compensation in line with market rates for a particular type of job. Additional benefits such as flexible working hours for young mothers help in retaining an organization’s top talent. An organization that does not pay its employees on time or fails to pay after several promises is setting itself up for failure because it will eventually suffer from talent drain. It may be easy for an organization to get away with failing to compensate its employees as expected but in the long run, it ruins the organization’s reputation and has an effect on its bottom line. Employees need to know that their financial well-being is not secondary to the company’s profit. They need to see the results of their productive days become tangible benefits. Do you need help with identifying and retaining talent in your organization? 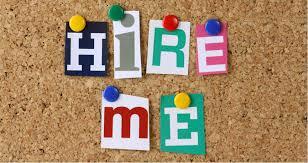 Talk to us at Crystal Recruitment, a leading talent solutions provider in Kenya. Sometimes, hiring a candidate can seem like rocket science before the era of Google. You hire an experienced sales manager only for you to realize that the manager cannot handle the changes in market dynamics. You hire a candidate who seems to have immense potential as an executive assistant only for you to realize that the assistant is tardy and untidy hence he can hardly keep up with the demands of the job. What are the indicators or clues that an employer should be on the lookout for before hiring a candidate? Potential is often defined as the ability to grow and adapt to different working environments. It is easy to weed out the candidates who lack potential during the preliminary stages of an interview. However, determining whether the candidates possess the right kind of potential takes skill. Globally, jobs are increasingly subject to change due to the fast-paced nature of advancement. A good employer knows that uncertainties are a part of the future hence he or she hires with that in mind. Look for interview questions and assessments that bring out a candidate’s inquisitiveness. Ask candidates about practical steps they have taken to learn something new and apply it in their field. Having the right potential is demonstrated through one’s eagerness to learn in order to reach one’s full potential. A candidate with the right potential is competent, curious, insightful and engaged. A candidate with a few years of experience may have more potential than a candidate with many years of experience. A candidate with the right potential does not want a new job because he/she “can no longer learn anything from their current job”. Instead, he or she wants a position in your organization because it is in line with his or her career goals. Some candidates are one disaster away from a career head-on collision. Their career journey is a random doodle with no goals, ambition or direction in sight. Other candidates know where they are headed, why they want to head in a particular direction and how they are going to get there. Job hopping might look like it is in vogue but from a recruitment perspective, it might also speak of indecisiveness and red flags in one’s character. There might be a shortage of permanent jobs in this economy so it’s okay for one to have some temporary jobs in one’s resume. However, if the stories behind the departure from one organization to another do not add up, then there is a problem. The wise man, as it is often said, poses the right questions. A candidate who asks questions for the sake of asking questions might be a disengaged candidate who is not curious. A good interview is engaging because it is a two-way conversation. Be prepared to answer a candidate’s questions with clarity and honesty. A candidate’s questions can be an indicator of the candidate’s ability to think creatively and learn. It is also an indicator of whether the candidate is eager to join the organization and bring new ideas. Does the candidate have new ideas that can be applied in solving problems in your organization? What practical steps would they take to bring that idea to life? How would the candidate counter the legal/ economic challenges that might be encountered in the course of the implementation of their idea? Sometimes, the most determined and passionate candidate who would be the right fit for the job does not have the academic skills required for the job. A good programmer might have coding skills that he or she learnt through open courseware on the internet while he/she was working at a restaurant to make ends meet. Such a candidate might lack some of the technical skills but their passion and determination makes them an excellent fit for the position. A good project coordinator might have the right skills and attitude but he or she studied biology as their first degree then took online courses in project management. Confidence is essential in successfully executing any role. Overconfidence, on the other hand, is a success killer. A candidate who is overconfident does not understand the importance of taking calculated risks. He or she does not know the limits of what they know and the importance of acknowledging that there is a lot to learn. Such a candidate will overpromise and under deliver, take unnecessary risks and constantly pass the buck to others instead of taking responsibility for their mistakes. Ask questions that will help you determine whether a candidate knows their limitations and is willing to seek help where it is necessary. If a candidate is bragging about other job offers, then he or she should probably be allowed to pursue other job offers. A candidate who brags about other job offers is manipulative and greedy. He or she is probably trying to arm twist the organization into offering more in terms of monetary benefits by overstating the value that he or she would bring to the organization. Bragging about other job offers is also an indication that the candidate will accept other job offers using your organization’s offer as leverage. Are you looking for talent with the above qualities? Do talk to us. Crystal Recruitment is a leading Recruitment Firm in Kenya, with presence in Uganda, Tanzania and Rwanda and a reputation of getting the right people for your open vacancies.